You can email me these details for up to 5 of your books (please don’t paste them into this page’s comments section as I’ll only delete them). My free and $0.99-$2.99 eBooks are detailed on the Books – mine page. Alana Woods: Family medical history (non-fiction medical journal) – record everything of a medical nature for your family here in this one journal. Ann Pietrangelo: No More Secs! Living, Laughing & Loving Despite Multiple Sclerosis – a love story at heart; romantic love; love of family; love of life – with MS. Available as eBook and paperback. Catch That Look: Living, Laughing & Loving Despite Triple-Negative Breast Cancer – sometimes, when that “other shoe” finally drops, it drops hard. Available from Amazon.com and Amazon.co.uk. Anne R. Allen: How to be a Writer in the e-Age and Keep Your Sanity (co-written with Catherine Ryan Hyde) – a guide to 21st century publishing. Available as an eBook from Amazon.com and Amazon.co.uk and a paperback from Amazon.com and Amazon.co.uk. Anne Cossé: Facial Rejuvenation Acupressure, Look 10 Years Younger in 10 Min per Day (non-fiction beauty) – learn how to look younger and fresher with DIY Facial Rejuvenation Acupressure. Aron Simanovitch (Translated, Annotated & Edited by Delin Colón): Rasputin: The Memoirs of His Secretary (history / memoir) Available from Amazon.com and Amazon.co.uk. Simanovitch’s memoirs offer an intimate view of Rasputin and his progressive ideas for social and economic reform that outraged the nobility but could have prevented the revolution. Barbara Barth: The Unfaithful Widow (non-fiction memoir) – Personal journey after loss with the help of a vintage Corvette, great friends, and dogs. Bob Maddams: Lights, Camera Jemuru – Adventures of a Film-Maker in Ethiopia (factual) – remarkable true-life story of a high-flying adman who taught in an Ethiopian community film school. Carol Anita Ryan: Right Now Is Perfect: A Romance, An Adventure, The Unexpected Thereafter – a South Pacific sailing saga wrapped in a romance with an unexpected ending. Christopher Robbins: The Ravens (factual) – true story of volunteer pilots in a war in Laos that officially did not exist. The Test of Courage: Michel Thomas (biography) – one of the most inspirational stories of the 20th century. Dale T Phillips: How To Improve Your Interviewing Skills (career help) – interviewing is critical for getting jobs – this book has been designed to help get better at it. Debbie Martin: Are You The One? (relationships) – Debbie’s dating diary follows often hilarious situations through to the conclusion that sociable is best. Available from Amazon.co.uk and Amazon.com (paperback) and Amazon.co.uk and Amazon.com (Kindle). The Strategy (relationships) – If you’re going to play the dating game, you need a strategy to win and here it is… Available from Amazon.co.uk and Amazon.com (Kindle). Deborah McCarragher: Mission Possible (relationships/women’s issues) – an encouraging book for women in a spiritually mismatched marriage that will change your life. Eric Houston: The Lost Artist: Love Passion War, Part 1 (Memoir, History) – a search for a famed children’s book illustrator uncovers a World War II Palestinian soldier. Eric Milton: The Stock Market is for Everyone (Personal Finance, Self-Improvement) – Curious about investing? Here are basics on how to grow wealth in the stock market. Felicia Johnson: A historical glimpse about your braids (narrative non-fiction) – origin of braided hairstyles relevant to history, culture, style, and economics. Gregory Allen: Proud Pants (memoir; eBook only) – a man recalls his life of addiction, abandonment, and anger as he faces death at the age of thirty-four. Hodges L. Golson, Ph.D.: Influence for Impact: Increasing Your Effectiveness in Your Organization (business / self-development) – understand and use the laws of influence to make your life easier. Available from Hodges’ website. Jamie Cawley: The Self Publishers Guide to Book Marketing: Step By Step Guide For Fiction and Non-Fiction Authors (writing guide) – Book marketing made easy! Affordable ways to promote your book and boost sales. Jill Dobbe: Here We Are & There We Go: Teaching and Traveling With Kids in Tow (travel memoir) – a heartwarming travel memoir filled with temper tantrums, disorienting jetlag, and zany, one-in-a-lifetime family adventures. Available from Amazon.com, Amazon.co.uk and Barnes & Noble. Jill Schaefer: ‘Up The Wooden Hill’ – growing up in WWII, the author in London’s Blitz, her husband in Nazi Germany. Available from Amazon.com and Amazon.co.uk. ‘Coming of Age in California – English Style’ – an English convent-school teen’s adventures in 1950s California. Available from Amazon.com and Amazon.co.uk. ‘In Quest of the Old West – A Driving Diary’ – an Anglo / German couple take in all the Western states in a fortnight of discovery. Available from CreateSpace.com. Joan H Young: Fall Off the Couch Laughing (non-fiction, essays) – ten humorous essays on outdoor recreation topics, illustrated with photos by the author. North Country Cache: Adventures on a National Scenic Trail (non-fiction, essays) – afternoon strolls or backpacking, an eclectic collection of essays chronicling 2300 miles of NCT hikes. John Watson: The Ultimate Guide to Consulting in the Networked Age (business) – a step-by-step guide to starting your own consulting practice. Jonathan Margolis: A Brief History of Tomorrow (factual) – a fascinating look at the future, as you’ve never seen it. Uri Geller: Magician or Mystic? (biography) – a biography of Uri Geller, the controversial spoon-bending and mind-reading performer. Joy V Smith: Remodeling: Buying and Updating a Foreclosure (non-fiction eBook) – How one woman bought and remodeled a foreclosure; it didn’t even have a kitchen sink! Kathryn Elizabeth Jones: Conquering Your Goliaths: Guidebook (Christian non-fiction) – have your own Goliaths to conquer? Get help here using the five stones. Kathryn Vercillo: Crochet Saved My Life – exploration of the health benefits of hobbies and a handmade life told through the lens of personal stories. Available via CreateSpace (paperback) and Amazon (eBook and paperback). Kerry Dwyer: Ramblings In Ireland (travel memoir) – a tangential ramble through culture, grammar the west of Ireland and random trivialities. Available from Amazon.co.uk and Amazon.com. Kimberly ‘Kimba’ Dalferes: I Was In Love With a Short Man Once (humorous narrative non-fiction) – Crazy southern Irish gal’s tall tales and funny musings about life, love, and motherhood. Available via Amazon.com, Amazon.co.uk, Barnes & Noble and Friesen Press. Kimberley Payne (Fit for Faith and Return Home and Tell blogs): Fit for Faith – 7 weeks to improved spiritual & physical health – unites physical and spiritual health through a program to lose weight and strengthen God’s relationship. Available via Smashwords and Amazon. Where Family Meets Faith (non-fiction devotional) – shows the similarities between the challenges of a family and building a relationship with God. Available via Smashwords and Amazon. Where Fitness Meets Faith (non-fiction devotional) – reflections about the challenges of maintaining a healthy lifestyle and building a relationship with God. Available via Smashwords and Amazon. Linda Eve Diamond: Rule #1: Stop Talking! : A Guide to Listening (self-help) – Rule #1: Stop Talking! is a fun, self-help guide to developing stronger listening skills. Book Page: http://www.lindaevediamond.com/Books/A_Guide_to_Listening and available from Amazon.com and Amazon.co.uk. Linda M James: How to Write Great Screenplays (and Get Them into Production) (paperback) – jam packed with everything you need to know to write a great screenplay! Highly recommended. How to Write and Sell Great Short Stories (paperback & eBook) – full of fabulous advice about writing and selling short stories and novels. Inspiring. Mary Terzian: The Immigrants’ Daughter (memoir: multicultural non-fiction) – spurning destiny, teen earns self-actualization from spinster at twenty to successful “global citizen” at thirty. Available as a paperback from Amazon.com, Amazon.co.uk and an ebook from Amazon.com, Amazon.co.uk., Barnes & Noble, iTunes, Book Locker, and Abrill Books. Martyn Forrester: Madvertising 1975-1985 (factual) – the inside story of advertising’s wildest decade. Michael Nicholson: Natasha’s Story (memoir/non-fiction) – The heart-wrenching true story of how legendary TV reporter Michael Nicholson smuggled an orphan out of war-ravaged Sarajevo. A Measure of Danger (auto-biography/non-fiction) – A vivid account of the 18 war zones Michael Nicholson has braved in his career with Britain’s prestigious ITN. Michael Whitehall: Shark Infested Waters: Tales of an Actors’ Agent (biography) – a charming, funny and piquant view of the showbiz world. Nancy Di Fabbio: Quest for the Dress: Finding your Dream Gown without Losing your Sanity, Friends, or Groom – a funny, must-read handbook for brides on the quest for their wedding gown. Nina Munteanu: The Fiction Writer: Get Published, Write Now! – released in 2009 by Starfire World Syndicate. 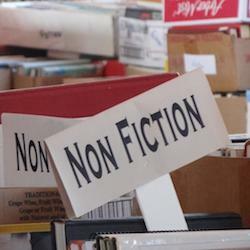 A comprehensive guidebook on writing fiction with examples and exercises. Paul Hurst: Creating Ebook (reference) – simple and free guide on how to get started with your own ebooks, right now. Business Survival & Prosperity Guaranteed (business & economics) – Get Comfy Slow rather than Get Rich Quick, enjoy the journey and avoid the pitfalls. Rita Avaud Najm: La Petite Rita, Volumes 1 and 2 (Children’s early reader) – True short stories of Rita and her adventures in New York City. Learn some French! Terry Lee Rambo: Troy’s Miracles (memoir) – grieving mother who lost her first born son in a car accident receives miracles. Yves Johnson: There Is No Gray In Moral Failure (Christian Living) – this book addresses how Christians’ sexual or financial misconduct affect how the world sees Christianity. Available from Createspace and http://yvesnjohnson.webs.com. p>The Art of Process Improvement by Abdul A Jaludi. $7.99 from Smashwords.comThe Art of Process Improvement is a high level strategic book aimed at leaders looking to cut expenses, improve employee morale and maximize profits. This book focuses on managing the process and creating a culture where quality, change, and innovation are encouraged and rewarded.